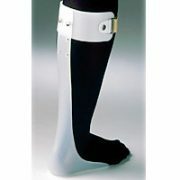 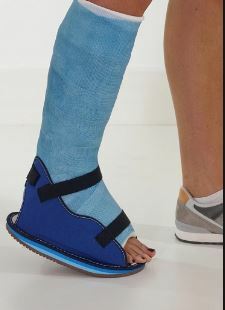 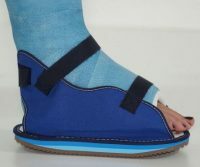 Provides protection for walking casts. 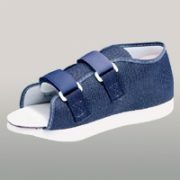 Made of a durable canvas material with two adjustable closures. 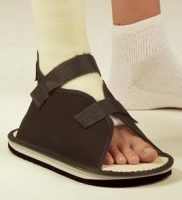 Has open toe and open heel with non-skid sole.